Interest in pending UFA forward Sam Gagner is heating up. Among the teams with interest: Chicago and Vancouver. Edmonton, the team that drafted Gagner in 2007, are not believed to be in the mix. Though some predict he will wind up staying in San Jose, the interest in Joe Thornton is strong throughout the league. The Canadiens, Bruins, Maple Leafs, Predators, Stars, Kings and Rangers have made inquiries. His future with the Sharks may be tied to fellow pending UFA and longtime friend Patrick Marleau. Marleau is also generating plenty of interest. The Flames, Maple Leafs, Hurricanes and Golden Knights are rumoured to have contacted Marleau's camp in recent days. 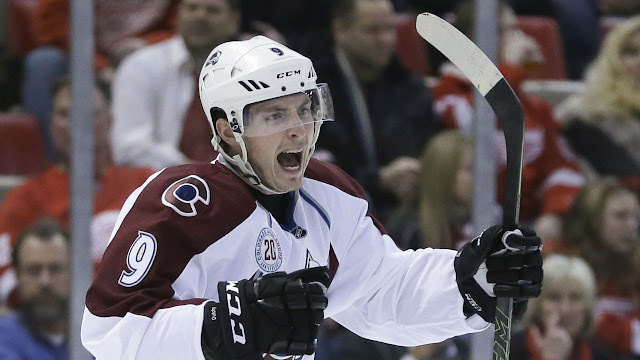 Things may be finally heating up around Matt Duchene. Many expected Duchene to be dealt at the draft, but GM Joe Sakic hasn't been impressed with the offers up to this point. The Predators, Penguins and Islanders have been linked to Duchene in recent weeks, while the Senators, Hurricanes, Blue Jackets, Blues, Canadiens and Ducks have been linked to him in the past. The Maple Leafs, who didn't appear to be interested in Duchene at any point this season, have now cropped up as a possibility. Though it's unlikely the Leafs can offer Colorado the defensemen they're looking for, the possibility of a three way trade has been raised in connection to Duchene. Sounds like goaltender Chad Johnson may be heading back to Buffalo.